Pour into 9x13 cake pan and bake as directed on the cake mix box. Let cake cool. Then crumble the cake and place into a large bowl. Add cream cheese frosting and combine. Place cake mixture into the refrigerator for at least an hour. Scoop out cake "dough" with a small cookie scoop or melon ball scoop. Roll in to balls. Melt almond bark as directed on package. 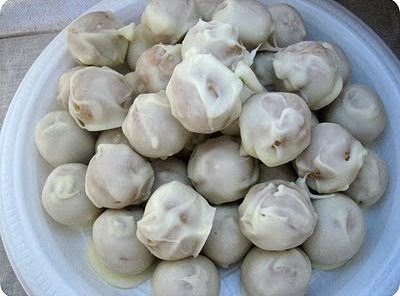 Dip cake balls into bark and place on wax paper to cool.